As the weather is getting warmer and the days longer, enjoy the day out (for free). Spring is here and staying in and spending the day on Netflix doesn't seem as appealing as before. Summer is coming, and it's time for adventures. Here's a list of lesser-known free things to do in Paris. This is, in my humble opinion, by far one of the most breath-taking views of Paris. 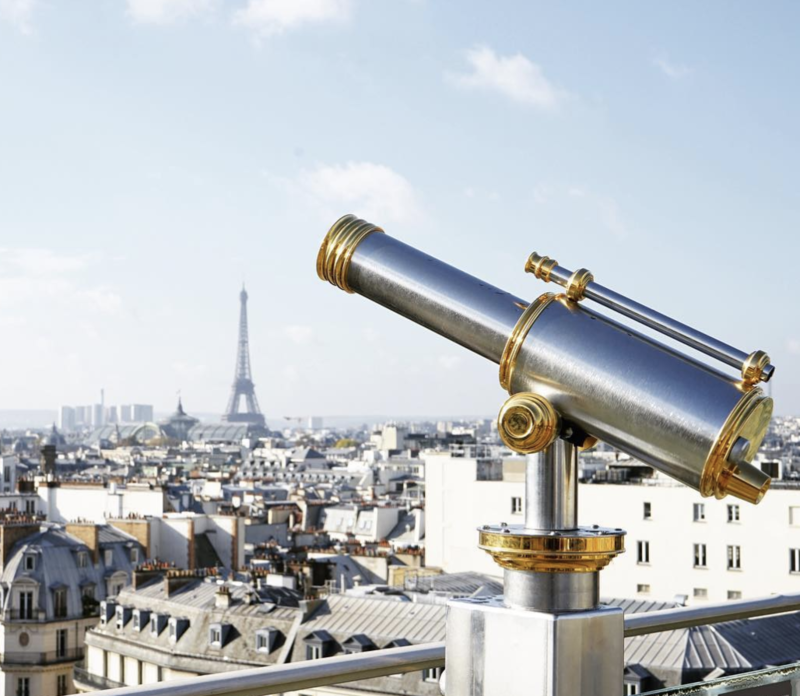 Free to access, this beautiful secret offers a view of Paris's skyline and all of its most famous landmarks: The Eiffel Tower, Opéra Garnier, Sacré-Coeur, Petit & Grand Palais, and more. 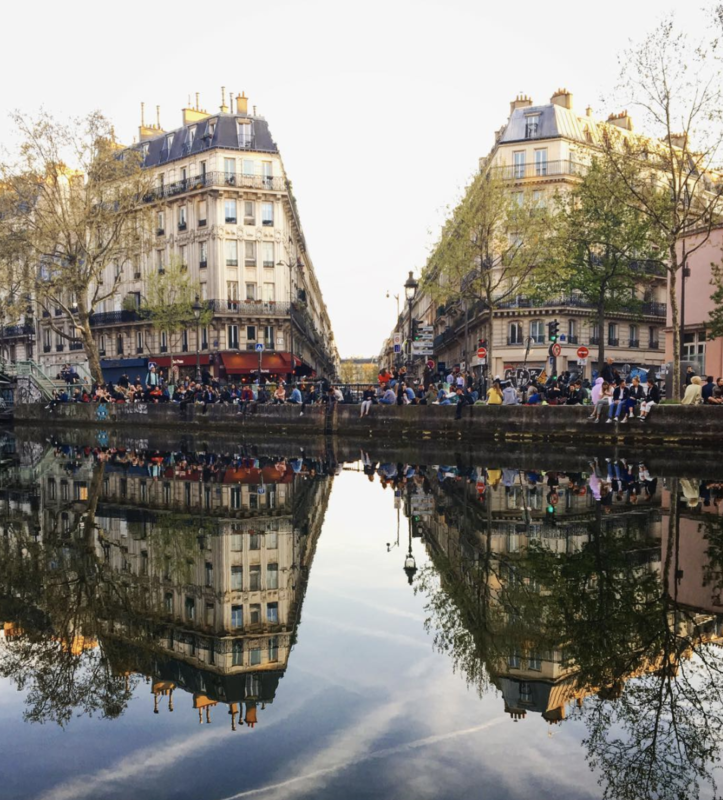 Skip the touristy Champs de Mars and head straight to Canal Saint-Martin. Grab a bottle of red wine, a baguette and some Camembert and enjoy your evening in one of the liveliest places of Paris during spring and summer. With jovial crowds, endless greenery, and early-nineteenth-century architecture to enjoy a nice outdoor picnic and relax with your friends. Jazz connoisseurs have their new HQ in Paris. 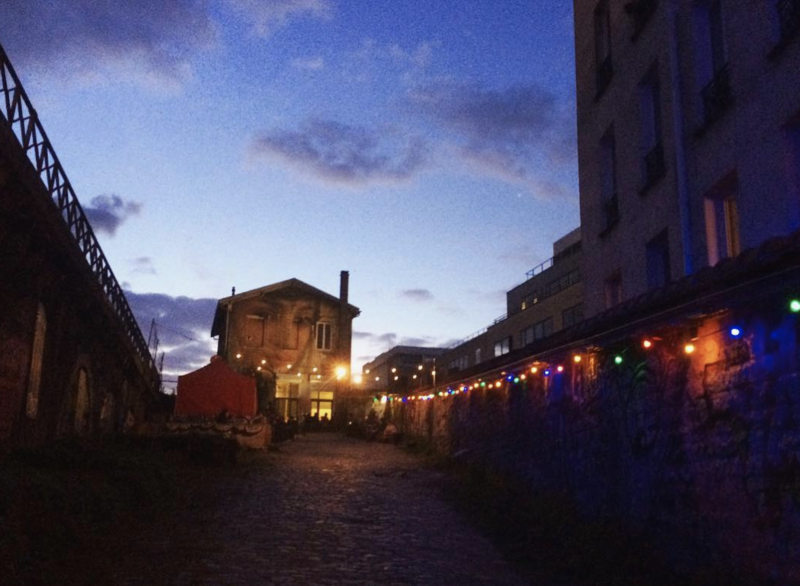 Recently opened to the public, La Gare in the 19th arrondissement offers (free!) jazz concerts, every night after 9 pm. Get your groove on without going broke. Love wine? (Who doesn't?) Then La dernière goutte is the place for you. Every Saturday from 11 to 7:30 pm you can stop by this classic Parisian wine cellar for free wine tastings. The wine comes from all regions of France and is presented to you by Juan Sanchez, who gives explanations and lessons on the wines of the day in both English and French. 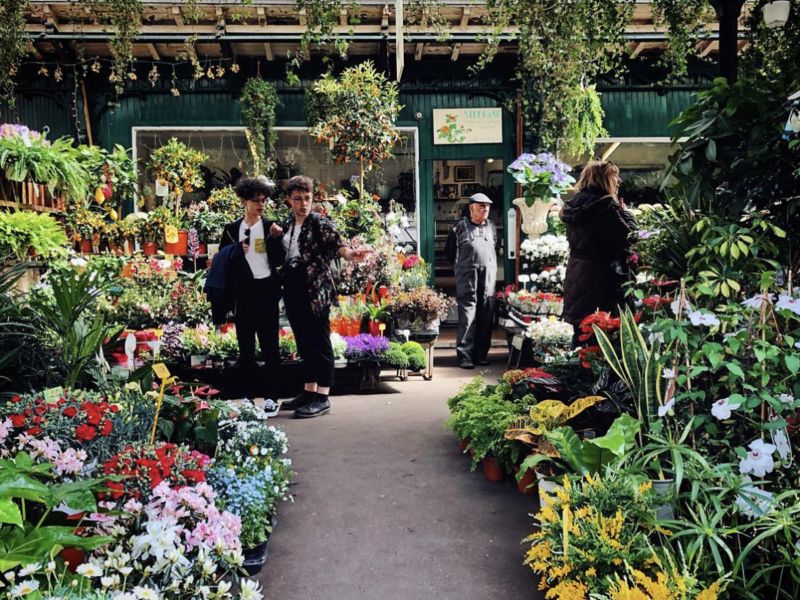 Since 1830, Paris's very own Marché aux Fleurs is open seven days a week and offers a wide mix of flora, scents and colors. Free to access, Instagram-worthy, and summer-friendly. Surprisingly enough, the permanent collection at the Maison de Victor Hugo is free to visit for everyone, all year long. "The apartment which Victor Hugo rented from 1832 to 1848 at 6 Place Royale (now Place des Vosges) is currently laid out in such a way as to take you through his life, evoking his writing through furniture, objects and works of art that belonged to him or that he created himself." This is the home where the author lived from 1832 to 1848 and wrote his most acclaimed novel, Les Misérables, in large part before he turned to politics, got elected to the Parliament and was sent in exile to Guernsey for treason by Napoleon III. 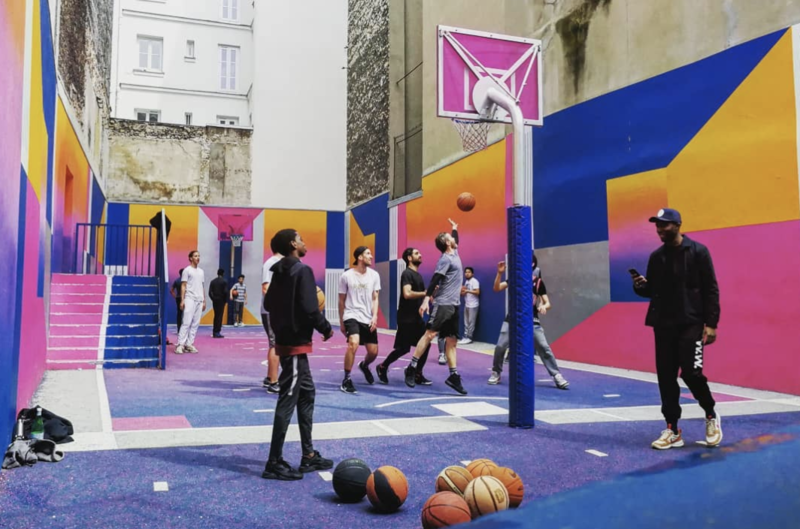 French fashion brand Pigalle Paris collaborated with the creative platform Ill-Studio to design The Pigalle Basketball Court. Head over to the 9th arrondissement to shoot some hoops! The legend even says that if you’re lucky, you’ll see some of the world’s best basketball players, known to frequent the court. This historic Parisian market offers the freshest produce, bright flowers, beautifully aged cheeses, charcuterie, fine wines, and much more. While none of the products are free, the samples and aromas are. So why not take a nice stroll on a weekend morning at this beloved Parisian market? Raised across Africa. Journalist, photographer, and videographer based in Paris, France. Photography editor for the Peacock Magazine.